If you’re anything like me, you have your dream Pinterest wardrobe and then your actual real-life wardrobe. 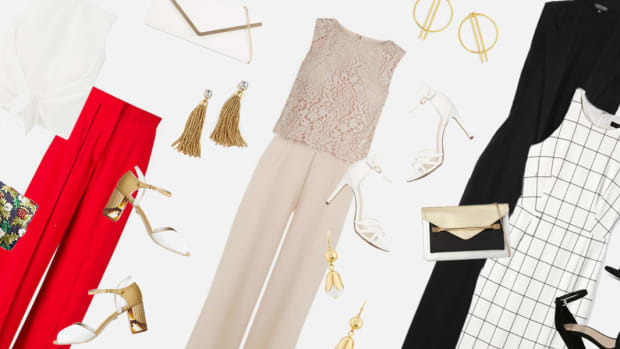 We’ve all heard the impressive (and impressively depressing) statistic that the average person only wears around 20 percent of their wardrobe on a regular basis, and we’ve talked about shopping your closet here on Verily before as one way to combat this waste. Personally, I always marvel at how different a piece of my clothing can look on someone else and not just because they’re shaped differently than me. 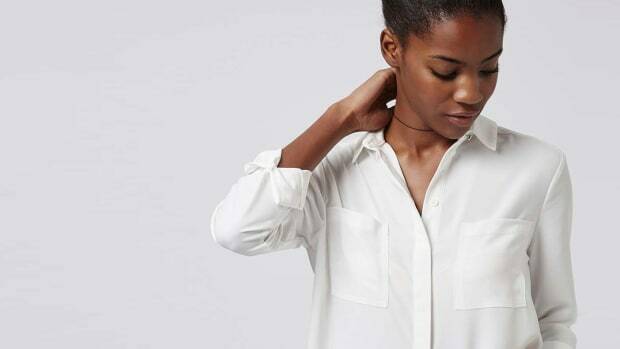 Have you ever let a friend borrow a piece of your clothing and noticed how they “made it their own” by tucking it in a certain way, rolling up the sleeves, or adding an accessory? Whether it’s seeing my clothes on a friend or a photo on Pinterest that makes me stop and think, “Hey, I have almost that exact same dress! Why didn’t I think to style it that way?” I love getting fresh ideas of ways to style the clothes I already own a little differently. 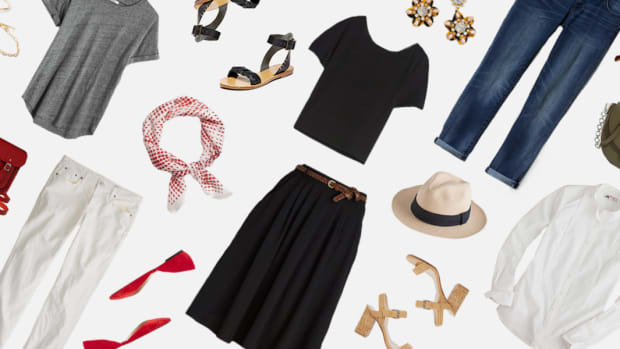 Heading into a new season is the perfect time to take stock of what you already have in your wardrobe and try out a few fresh tricks to style what you own a little differently. 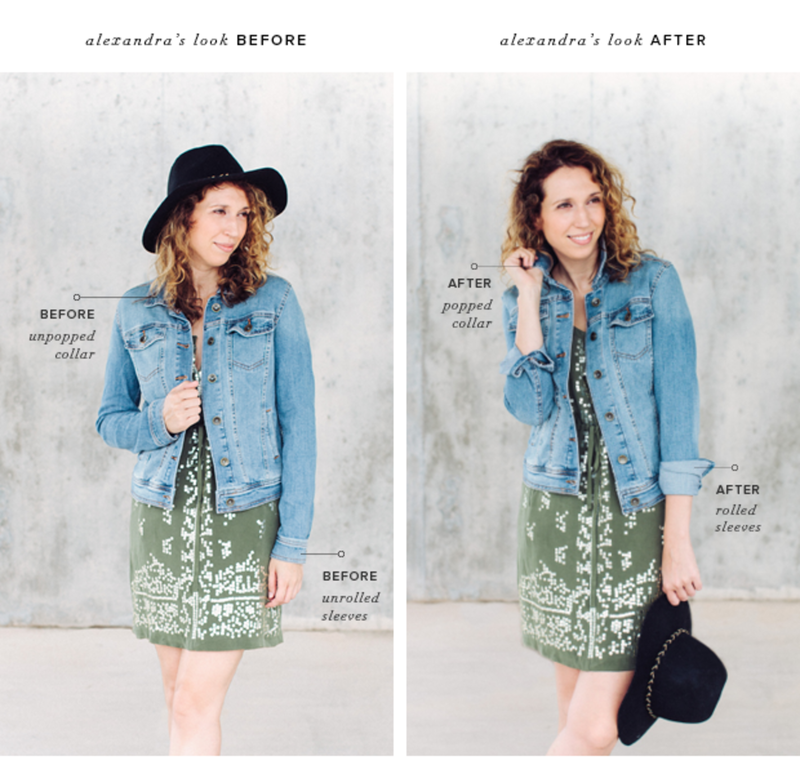 I asked some of our favorite style bloggers to share their tried-and-tested style tips that can transform an everyday outfit. There’s so much truth in the saying that the devil is in the details. Brynn Elliott points out that tying a knot in a sweater when you wear it over a dress can help add shape and definition to your waist. 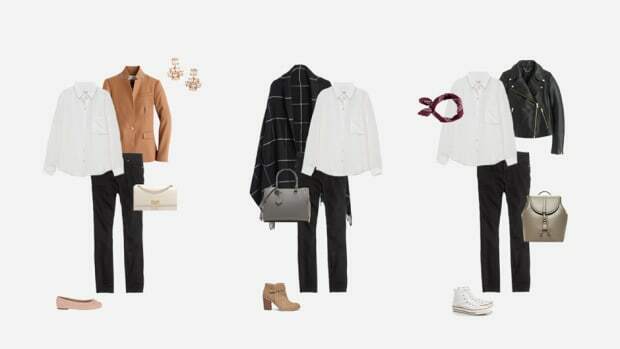 You can also try layering a shirt over a dress in the cooler months, tying the bottom in a knot for the same effect. 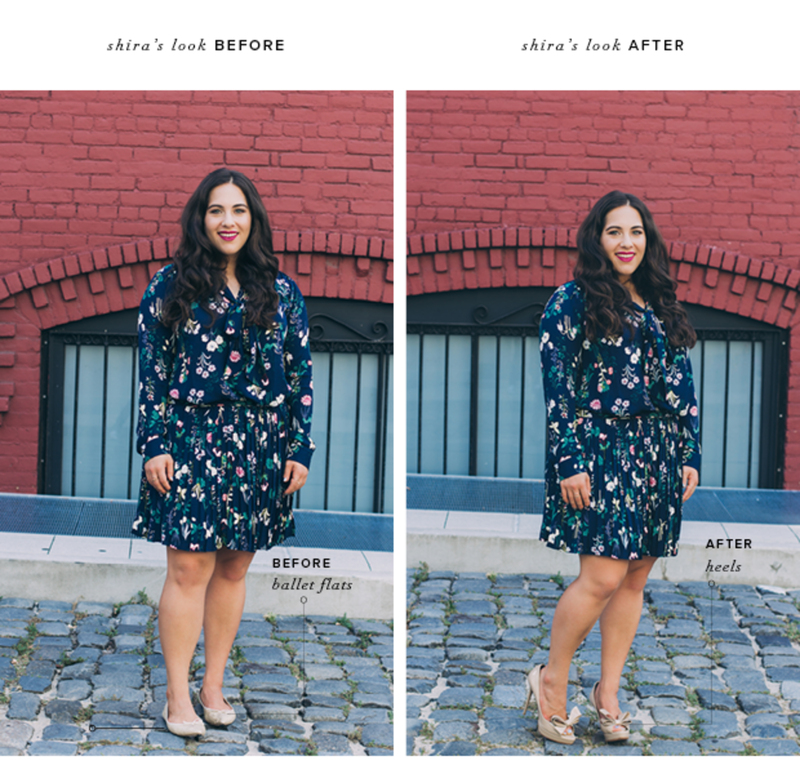 Shira Rosenbluth is a firm believer in the transformational power of a pair of heels; if you’re feeling a bit frumpy in an outfit, try switching up your footwear to add some height and change your posture. You’ll be surprised at the difference this small tweak can make. As Alexandra Evjen demonstrates, rolling up the sleeves and popping the collar on your favorite jacket can make your outfit look even more effortlessly stylish. Try wearing a contrasting shirt underneath your jacket and rolling the shirt cuffs over the jacket cuffs for another fun look. 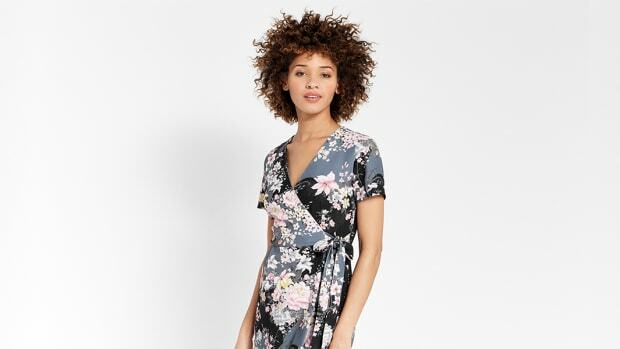 Do you have any dresses that are on the looser side? 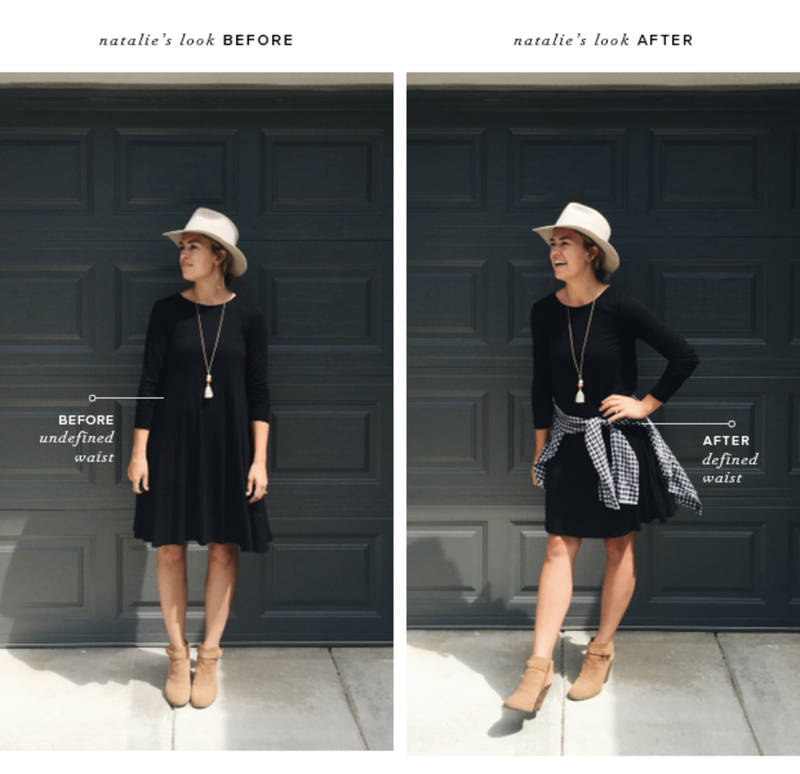 Adding a belt or, as Natalie Borton demonstrates, tying a shirt around your waist can mix up your look and make it more structured. 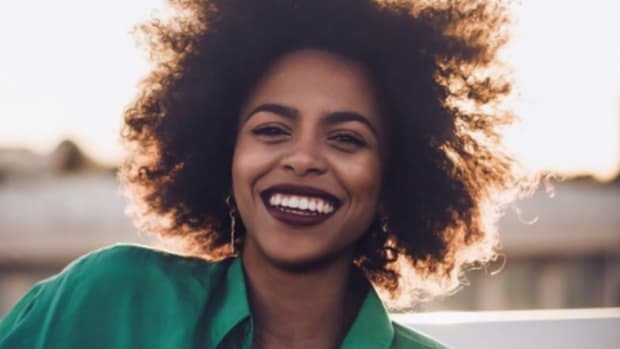 Have you ever noticed how something as simple as taking your makeup game up a notch can totally transform your outfit and have the compliments rolling in? Kelsey Chun shows us how applying a little bold lipstick can make a subtle but important difference to your look. We’re all about the scarves come fall, and there are plenty of inventive ways to add one to your outfit. 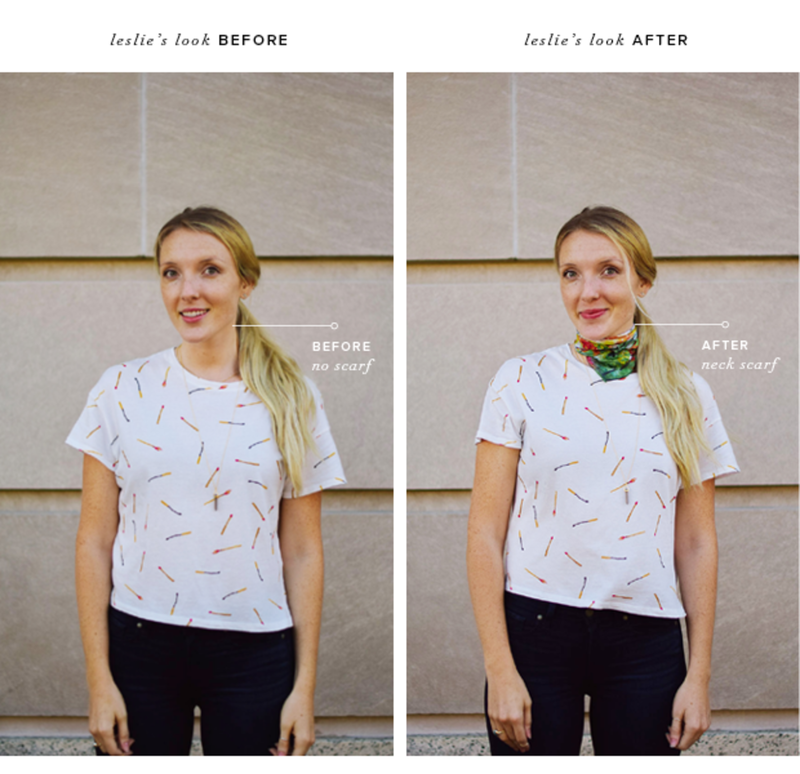 We love the way Leslie Musser adds a pop of color to her outfit here with a silk neck scarf. Hair is an accessory in its own right. 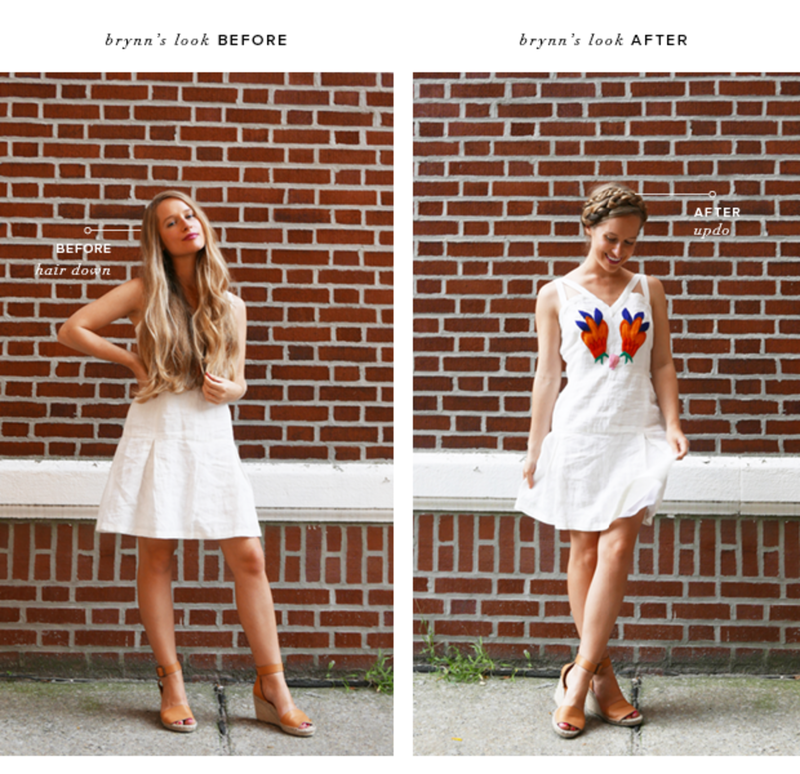 As Brynn Elliott demonstrates, the same outfit can go from relaxed and casual to girlie and sweet with the right updo. 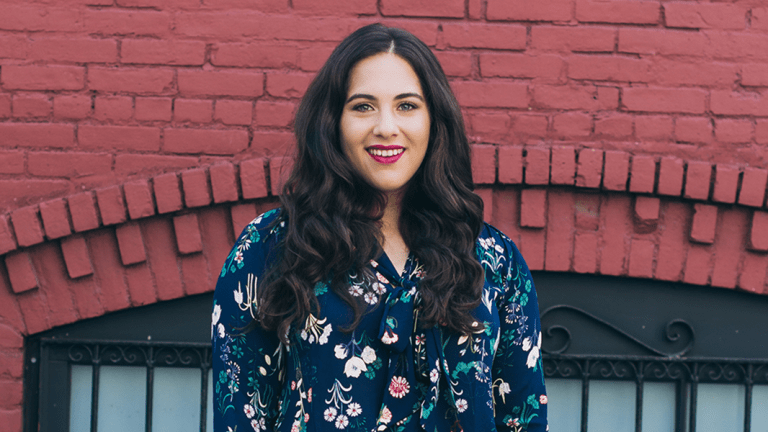 If you need a little inspiration, our very own relationships editor, Monica Gabriel Marshall, tried a new style every day for thirty days. 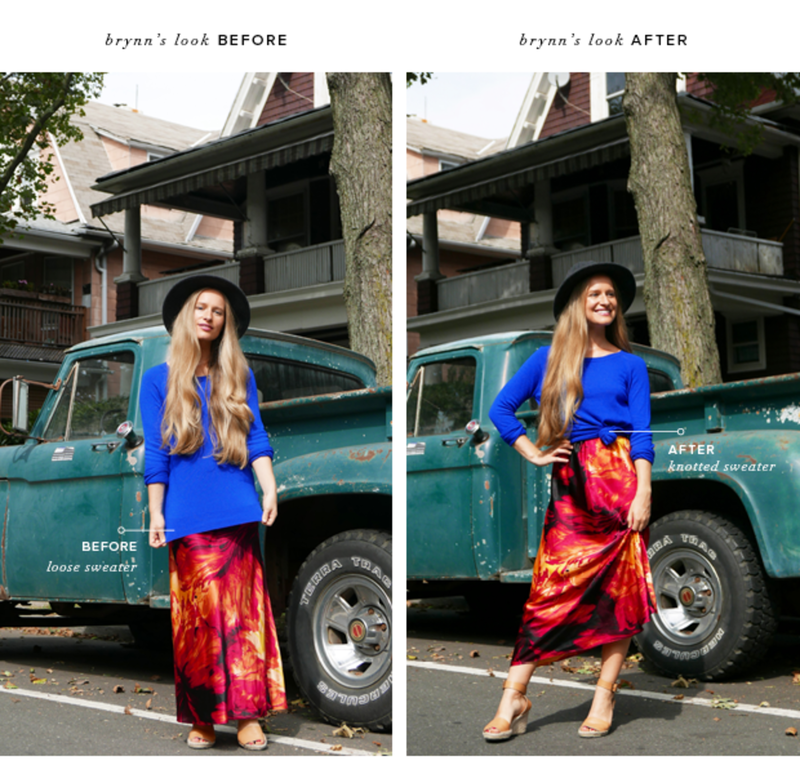 Bonus: This one tweak transforms an outfit without spending a dime. I don’t know about you, but I have drawers full of lovely sparkly accessories that I rarely ever use. 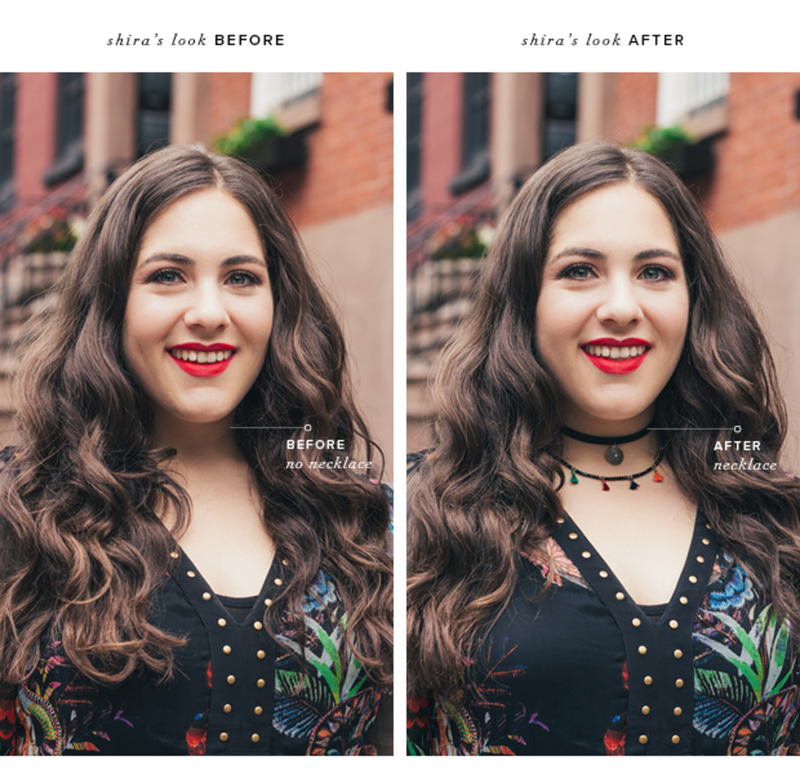 As Shira demonstrates here, adding a statement necklace is one of the quickest and easiest ways to transform your look, so dig through those drawers and try wearing some accessories you haven’t used for a while. This last tip is probably my personal favorite because I always forget to do it and then end up wondering why I feel frumpy when I wear sweaters! 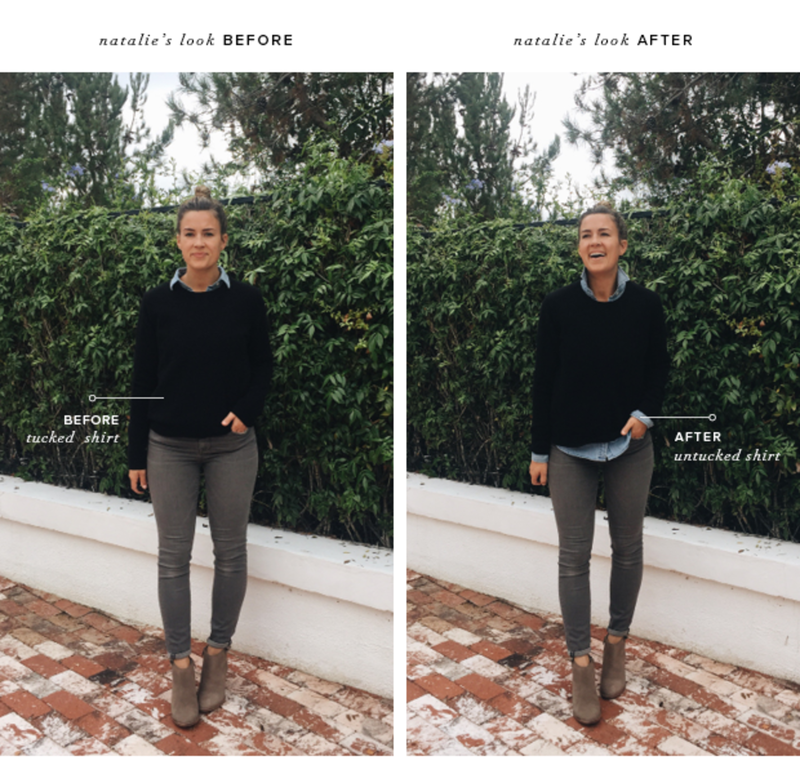 Untucking your shirt underneath a sweater helps it look more stylish and casual, as Natalie proves, and can also elongate your silhouette. All too often when we feel disenchanted with our wardrobes, we assume that an extra shopping trip could fix the problem. But thinking a little creatively about how to style what you already own can save you money and time and help you fall in love with your personal style all over again. 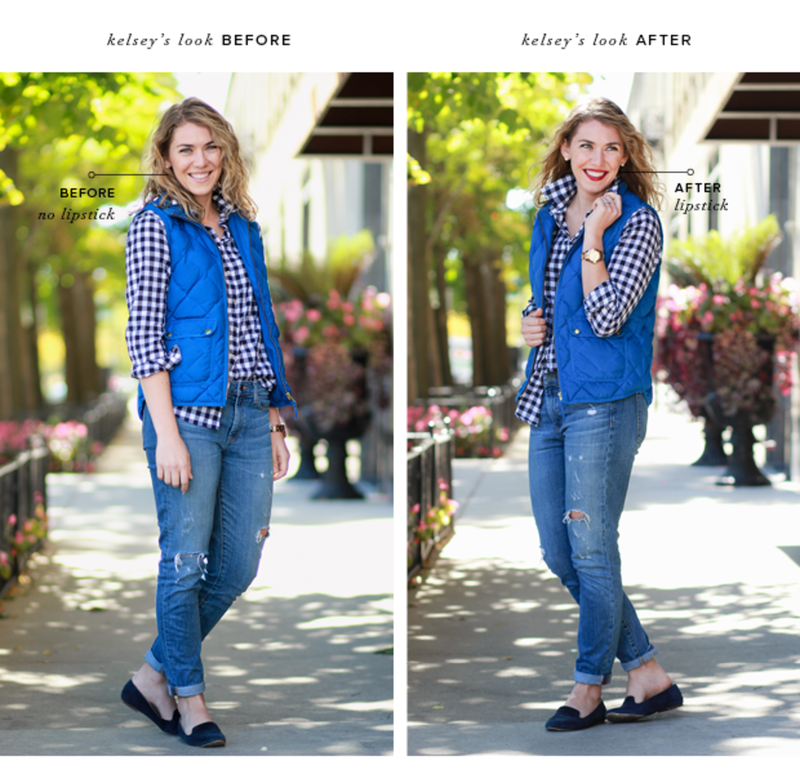 Many thanks to the awesome style bloggers who contributed their tips to this article. You can find more inspiration via their Instagram feeds: @brynnelliottwatkins, @asequinloveaffair, @avestyles, @natalieborton, @withalittlegrace_, and @onebrassfox.